The Dunlop Winter Maxx SJ8 is a non-studdable performance winter tire for trucks and SUVs. Developed to provide solid performance in several vans and SUV models, the Dunlop Winter Maxx SJ8 offers enhanced traction in winter conditions, thanks to its pulling power on snowy and icy roads. The Dunlop Winter Maxx SJ8 is equipped with a tread compound, Nano-Fit rubber that combines flexibility and rigidity, which greatly contributes to improved adhesion on frozen surfaces. It also has a Maxx lamella Miura-Ori high density tread with biting edges. The Dunlop Winter Maxx SJ8 is designed to counteract the deformation of the shoulder blocks and to increase the contact surface of the tread on ice. Finally, the optimized arrangement of grooves in the Winter Maxx SJ8 tire increases traction in snow and maximizes performance in wet road conditions. 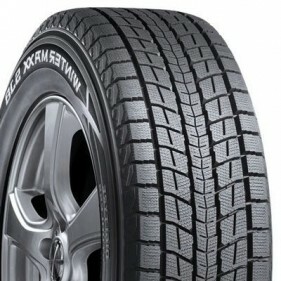 The Dunlop Winter Maxx SJ8 winter tire is consistent with Quebec's Bill 42. 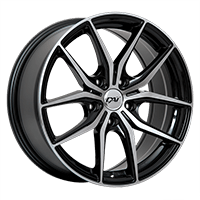 Rated among the top 5 tires in the winter tourism for SUVs, vans, and pickups category according to PMCtire’s, the Dunlop Winter Maxx SJ8 gets admirable ratings for its traction capacity on snow and ice. 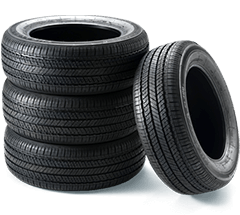 It is also highly rated in terms of wear resistance and noise reduction, while offering more comfortable and safer driving experience in winter.